Galley Wench Tales: Oz: Weird S---O-Meter Pegged -- Again! 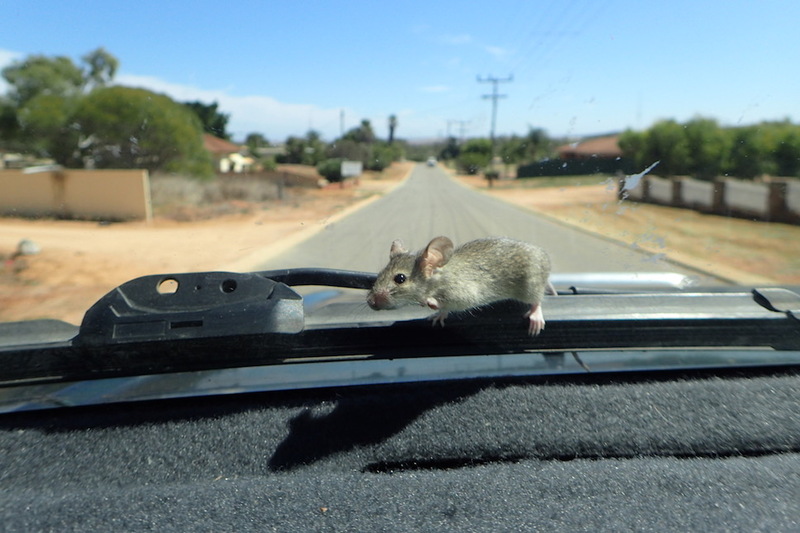 Mouse on the outside of our Land Cruiser whilst driving through Western Australia -- before Wayne hit the wipers! We're driving down 5th Street in Western Australia's Northampton, looking for the local mechanic we were told could do an oil change for us. Scanning the streets to make sure we're on track, I glance up and see a critter -- a mouse! -- staring back at me from just the other side of our windshield! Not sure if we picked the mouse up from our campsite 50 clicks or so back (there was one scurrying around the campsite) or at one of our more recent stops in Geraldton or Northampton. 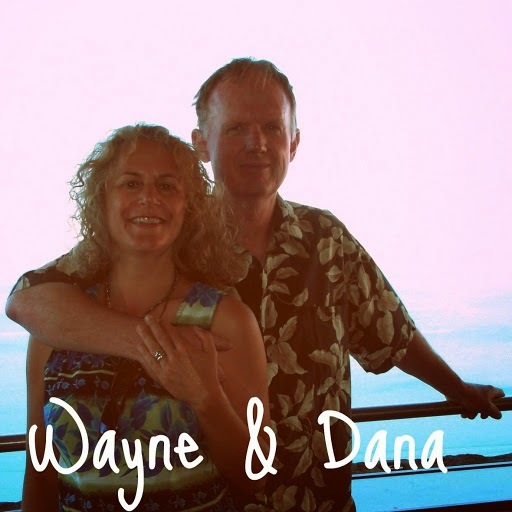 In any case, thanks to some quick thinking on Wayne's part, when he flipped the wiper on, he sent the mouse flying. We laughed like hell as we watched it scurrying off to safety after its catapult landing. At least the mouse was less stressful than the huntsman spider we picked up about a month prior (click here to read about that). What will we pick up next? We're currently in Kalbarri, Western Australia, North of Perth, South of Broome. Maybe Shark Bay, and certainly Exmouth and Ningaloo Reef before we pass it on the the Northbound stretch of our clockwise tour of Australia.